Like ripples in water, S.O.U.L.’s influence is far reaching; the full affect often hard to notice at first . Each small or large act of encouragement, motivation and leadership contributes to the greater whole, accumulating to a mass movement of change. S.O.U.L.’s support is now present in 7 villages and soon growing. Although the exact number of people affected is hard to calculate, we had a staggering 900 villages/beneficiaries/well wishers attend our last Community Meeting (a bi-annual event with the next one approaching November 9th). With this work, it isn’t always easy to see tangible results right away. However, in the year I have been here there have been several days where we get to celebrate our labors of love. 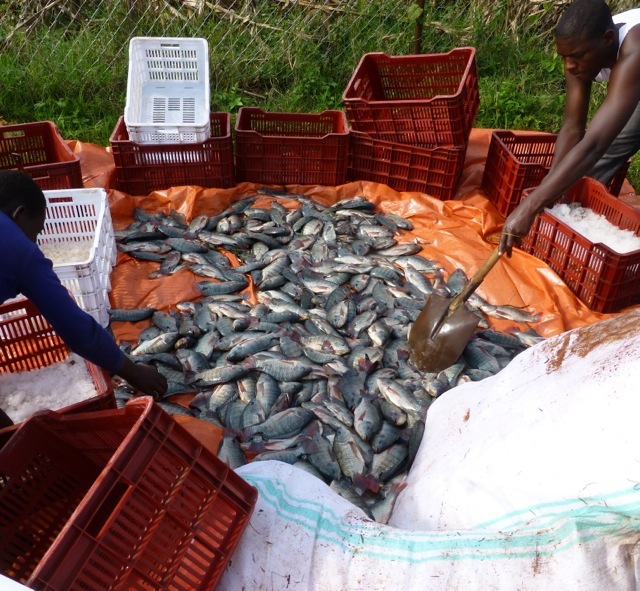 On Wednesday, August 21st, Namizi Fish Farm sold over 5,000 tilapia or 1,011 kg (just over 1 ton) to a Rwandan buyer. Their sales totaled to 6,067,000 ugx ($2,333). 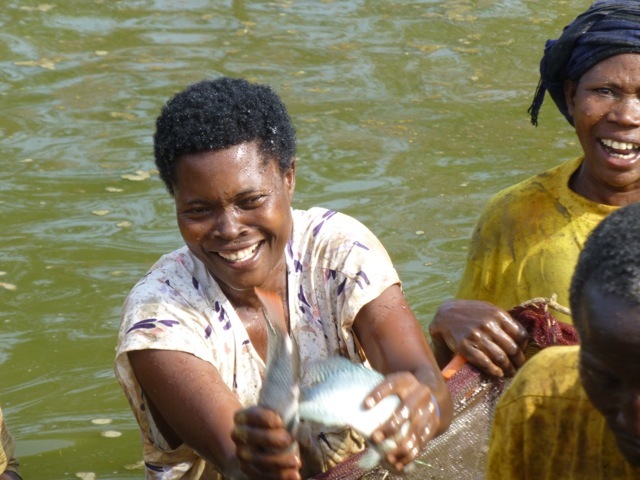 The following week, Naminya Fish Farm sold 320 kilos of tilapia getting 2,00,000 ugx ($752) to another Rwandan buyer. These are huge numbers considering many families live on a dollar a day. The next step is financial literacy and the importance of saving. For now, half of their sales goes straight to their bank account, which for Namizi has just been opened. 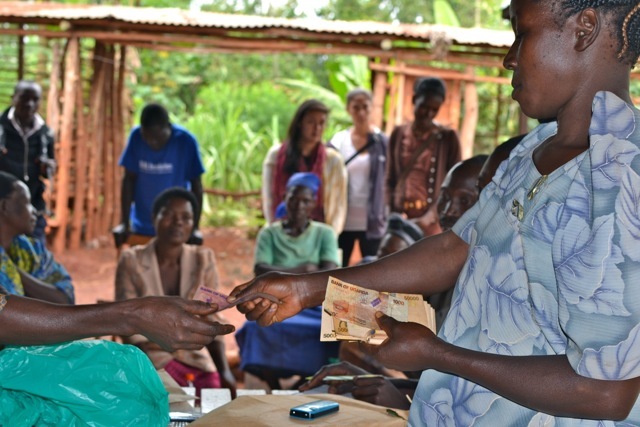 As they build their savings, they get closer to becoming sustainable and 100% independent. In the case of both ponds, the signatories for the accounts are both men and women. A huge for step for women’s empowerment since a few of the women didn’t know to write their names beforehand. Namyina Fish Pond (started 2010) and Namizi (started May 2012) have been funded largely by BEL (Bujagali Energy Limited). This funding has been instrumental with construction, consultation and buying of food, all of which is costly. Since the dam project is now complete, the members are starting to feel what it will mean to sustain this project on their own. It is a big reality, but one that will ultimately provide long-lasting fulfillment to the members, not to mention knowledge, leadership skills, empowerment for women and food security for their village and beyond. Money aside, the “fish selling day” was an amazing celebration. Members happily frolicked in the muddy waters as the full day event carried on. We all danced, often uncontrollably at the sight of their blood, sweat and tears successfully being loaded into trucks. 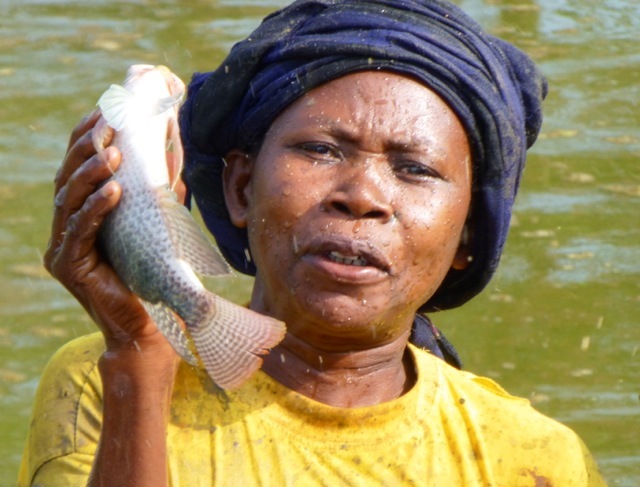 The days of taking 20 tilapia into town and hand selling are over. These ponds are now insuring food security not only for Uganda but now for neighboring Rwanda. Please check out recent volunteer, Marcy Castelgrande’s, take on the day. All the photos from Namizi were taken by Marcy. Also, S.O.U.L. Denver based volunteer Jamie Curcio shared his thoughts on how the fish ponds are just part of the many right differences that are happening on the ground. His write-up is S.O.U.L.’s most recent contribution to partnering site Everyday Ambassador. The most gratifying part of the day was to witness the members feel proud of their hard work and dedication. In the case of younger group Namizi, they now understand that this is their project. Before some members were under the impression they were working for S.O.U.L. but now they know we are here to help them along the way…through their hardships and unto success. More so, Naminya, seasoned veterans now, have taken it upon themselves to teach Namizi, forming a bond and partnership between the two sites. Two groups joining together from across the River Nile. Ugandans teaching Ugandans. Being irrelevant never felt so good. Big smiles from the kids (of members)! Next harvest is set for both ponds around December of this year. They could potentially harvest over 14,000 tilapia! It iss actually а nice аnd helpful piece ߋf info. Ι am satisfied tɦat you shared thiѕ helpful info ѡith us. Pleaase stay սs up to date likе tɦiѕ. Тhank you forr sharing. Hello, of course this piece of writing is really fastidious and I have learned lot of things from it about blogging. and Andrea Cabral of Suffolk County signed a letter late last week announcing their support of the bill. its natural essence from its solid form and misty vapors would be produced. to truly get valuable data concerning my study and knowledge. I am truly happy to read this blog posts which consists of lots of helpful information, thanks for providing such statistics. What’s up every one, here every one is sharing such know-how, therefore it’s nice to read this webpage, and I used to go to see this weblog every day.